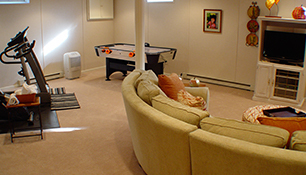 TURN YOUR BASEMENT INTO THE PERFECT LIVING SPACE FOR YOUR FAMILY.Enjoy a healthier, comfortable living area with our basement remodeling system. Do you have a cold, damp, unfinished basement? Do you want to convert that musty basement into a dry, comfortable, and useable space? If so, then Upstate Total Basement Finishing is the answer to your problems. As your local Total Basement Finishing dealer, we have the products and expertise needed to transform your basement and give you a fantastic finished room to expand your living area. A finished basement can serve as an extra bedroom, studio apartment, entertainment area, or any other function you can imagine. Upstate Total Basement Finishing will complete the transformation from start to finish, and leave you with a well-designed space you can use for years to come. Finishing your basement will not only give you more living space to enjoy; it will also keep your home warmer and drier through better insulation, as well as increasing your property value. As part of the nationwide Total Basement Finishing network, Upstate Total Basement Finishing provides award-winning remodeling products with great service from fully trained and certified technicians. 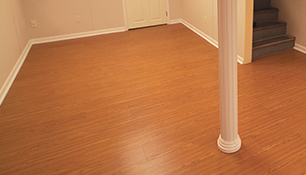 We provide free estimates on all of our basement finishing services in Greater Albany, so call us today to get started! Our non-sagging, mold-resistant tiles are built for long-lasting beauty in your new space. If you're looking to remodel your basement, Upstate Total Basement Finishing is the Total Basement Finishing contractor you can trust for the best basement finishing available. Our system provides built-in moisture and mold resistance that traditional products simply can't match. We also offer unique insulation products that will keep your basement comfortable and reduce your energy bills. Best of all, we offer a wide variety of finishing options to allow you to customize the look of your new space. 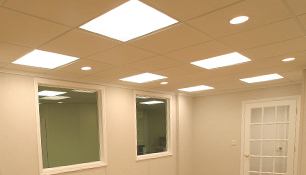 If you need wall panels, molding and trim, floor matting, ceiling tiles, basement windows, or any other detail, Upstate Total Basement Finishing has you covered! 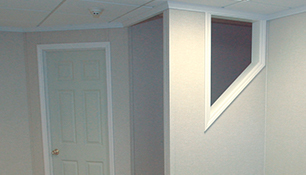 Check out all of our Total Basement Finishing products to start designing your dream basement today! We proudly serve in [major cities1], and throughout the surrounding areas in Greater Albany, and will work with you to create a custom design that perfectly fits all of your basement finishing needs. If you want to turn your wet, cold, and unusable basement into a beautiful, finished space that will last a lifetime, call Upstate Total Basement Finishing today for a free estimate!